It takes a village — not to raise a child, in this case — but to build a home. Molokai Habitat for Humanity’s latest project brought 15 volunteers hailing from the mainland to Ho‘olehua as a part of Habitat’s Global Village program. The team was here for 10 days and left early last week, after making substantial headway for a home currently being built for the Kaai ‘ohana. It is expected to be completed in two months. This morning I returned to work for the first time in 17 days. I’ve been in Hawai’i most of this month, a six-day vacation on Maui followed by an 11-day Habitat for Humanity build trip on Moloka‘i. I was struck by the inanity of my reactions to a few things as I started the workday. First, the bit of SQUEE when my badge worked to let me into the building, and then into my secured workspace. No reason it shouldn’t have worked, but it’s always nice when you return from an absence and you can still get into the office. Second, someone stole my chair. I’m using a different chair that isn’t quite right, does not have the adjustments just the way I was accustomed before I left. Next, my monitors are at the wrong height, and I can’t seem to get them where I want them to be despite wrestling with the adjustment arm half a dozen times in the hour I’ve been here so far. My work email had 7,000 unread items in it, and Outlook is still yakking with the Exchange server to synchronize and index everything. So I can’t search or sort mail effectively yet. And now I’m delayed in my work by an network credential that expired and I have updated, but has not propagated fully through my primary domain. I can’t connect to any network resources right now. All of which seems absurdly important on the one hand—how am I supposed to get anything done if my primary communication methods aren’t working the way I need?—and laughably stupid on the other, because I just spent 11 days helping to build a house for a family who had been waiting more than 20 years for permission to build on their own land because a government bureaucracy kept dragging its feet and piling delays at every turn. A few hours’ wait for my email to sync and index and my network login upate to propagate? Totally okay with it now. Six build days from flat platform to walls up, windows installed, siding on, roof in, and lanai built and raftered. It isn't raining — I know this because I'm sitting under a gorgeously clear and brightly moonlit sky — but the slight breeze in the palms sounds exactly like a light rainstorm. The roof structure is up! We left the build site 3 hours ago with the lanai completed and the roof structure in place. 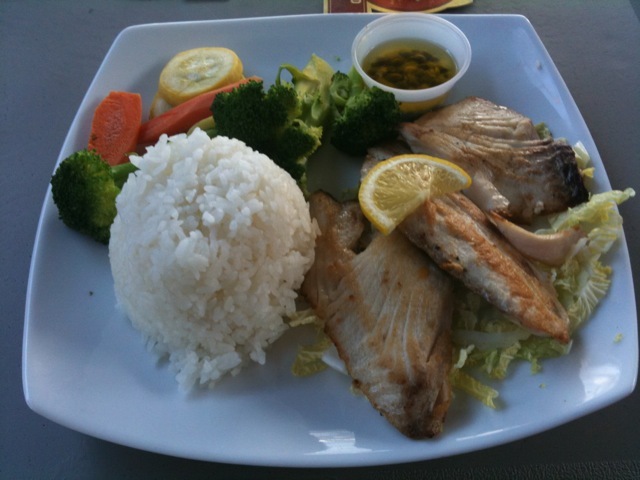 Grilled mahi mahi and steamed veggies at the hotel restaurant tonight, looks delish! I think they just aren’t trying hard enough. Never thought I would actually get to hear “Stand By Me” on ukulele. Just happened at dinner in the rain. this one spoke to me, somehow. About four hours ago, I learned how to install vinyl windows in wood framing. An hour ago, I led a team of five as we lifted, shimmed, and nailed the northwest window into place. The sealer wrap and window installations have been our main tasks today. This photo shows the house’s northeast corner (back door is on the right). I only learned how to hang windows at 08:00 and by 11:45, I was leading a team of five as we installed the northwest window, far right in the photo. We’re also hanging siding on the south (front) side of the house. 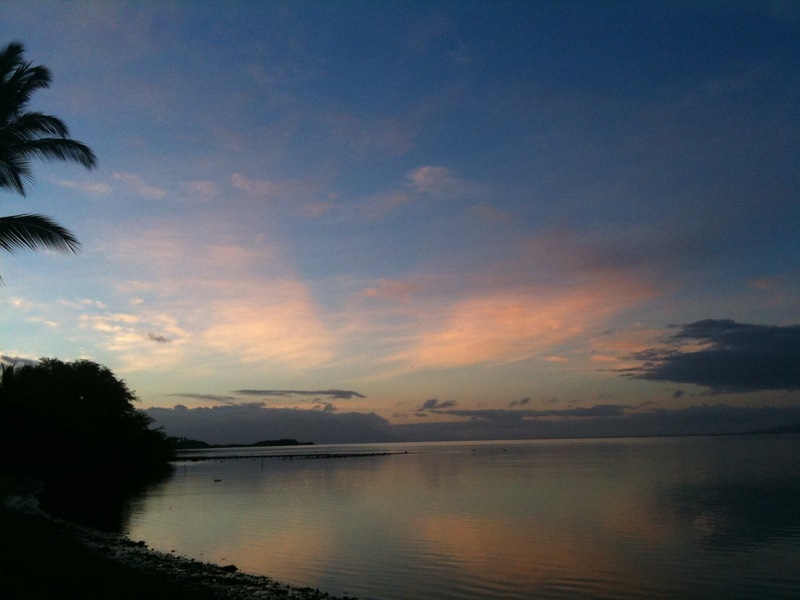 05:30 arrived *fast* today, but we have the gorgeous eastern sky to help wake us up. 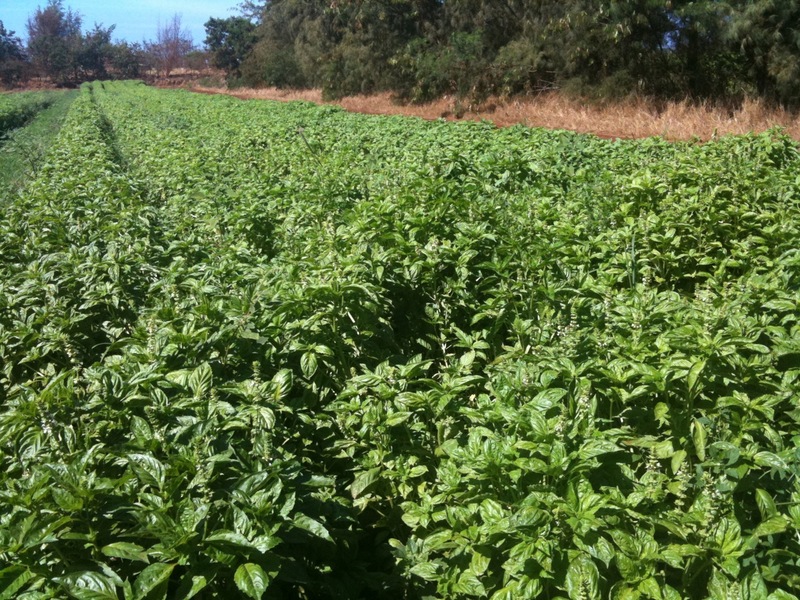 Kumu Farms, a Moloka‘i organic farming concern, is hosting us for an amazing Fields to Table Dinner this evening. Spectacular flavors to come! I could spend the rest of my life in this field at Kumu Farms. Wish I could say it was a tan line, but no—when I peeled off my shoes and socks, I realized I’ll go home with more dirt and sand than I will color. The foundation and platform for the house we’re building for Habitat for Humanity’s Global Village on Moloka‘i. We start the wall framing and siding today, and with luck we’ll get to build and install the roof trusses later in the week. Don: Though the India thing would be for work, so no time off required for it. Matt: wow, why Salt Lake? Don: Hell of a thing, my golf game. I have a strong drive, I can get 150-200 yards sometimes, but I can’t aim to save my life.